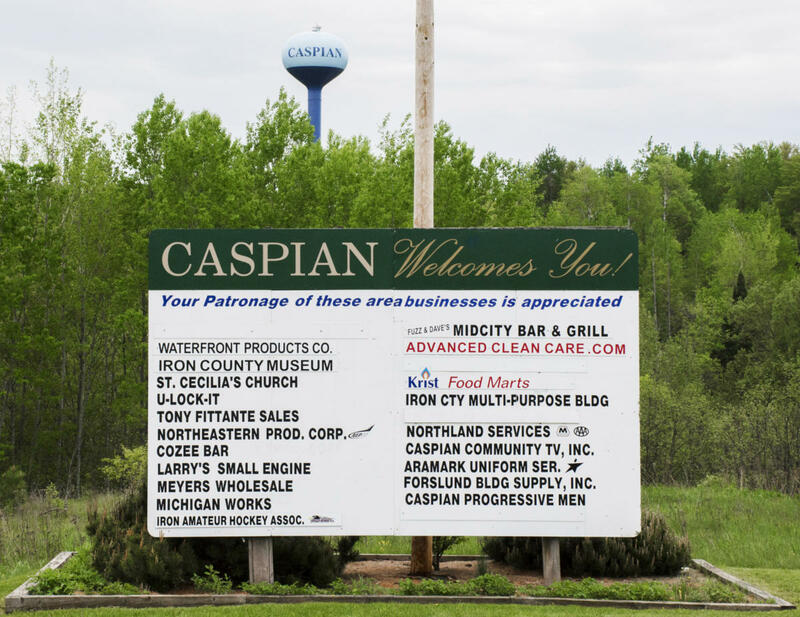 Caspian is located in the Upper Peninsula of Michigan in beautiful and historic Iron County. If you are looking for a clean and stress free place to live, visit or operate out of, we feel that our community will capture your personal attention and interest. We are a smaller rural type city of over 906 residents nestled amongst similar neighboring cities, and we boast many activity centers in town including the Multi Purpose building/Ice Arena, the renowned Iron County Museum, Apple Blossom Biking and Walking trail, Spring Valley Tubing hill, Duke of Abruzzi Lodge & Bocce courts, and the Caspian Community Center. We have our own Industrial Park if you have business interests and offer numerous residential lots for sale throughout the city for future building sites. There is no finer hunting, fishing, snowmobiling, four wheeling, golfing, hiking, or skiing opportunities anywhere in the country. We strive to provide a stress free lifestyle with all the qualities today's families require. In addition, our little city boasts some of the best ethnic cooking in the state. JUST TRY US AND SEE! We hope you will take a minute to tour our website. More importantly, we hope you will visit us when you are up in the "NORTH COUNTRY." It will be a visit and experience we think you will treasure always. The City of Caspian is looking to rent their professional building (former MI WORKS) located at 237 E. Caspian Ave. The facility is on the ground floor and was designed as a doctor’s office with 1,500 sq ft it is ADA accessible, has a large conference room, reception office, kitchenette, unisex bathroom, 4 other offices, access to the basement, a parking area that can accommodate 12-15 vehicles, a T-1 line is available as well as AT&T fiber optic cable. 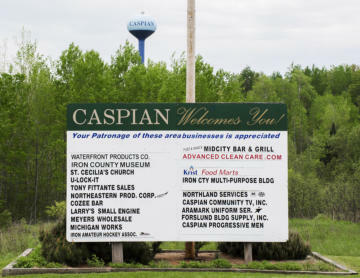 Any interested parties should contact the City of Caspian at 906-265-2514.